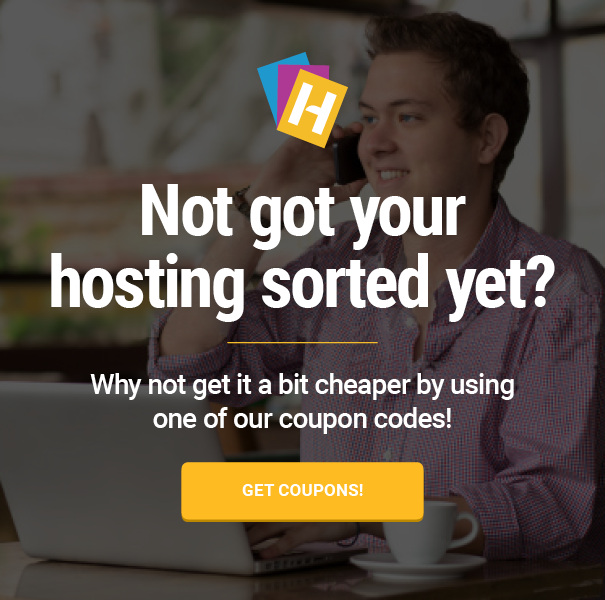 HostingCoupons.com (“We”) are committed to protecting and respecting your privacy. For the purpose of the Data Protection Act 1998 (the Act), the data controller is Spiral Media Ltd, The ThinkTank, Ruston Way, Lincoln, LN6 7BT (registration number 06802722). Information that you provide by filling in forms on our site www.hostingcoupons.com (our site). This includes information provided at the time of registering to use our site, subscribing to our service or requesting further services. We may also ask you for information when you report a problem with our site. All information you provide to us is stored on our secure servers. No payment transactions are or will be taken on this website. Where we have given you (or where you have chosen) a password which enables you to access certain parts of our site, you are responsible for keeping this password confidential. We ask you not to share a password with anyone. We may also use your data, or permit selected third parties to use your data, to provide you with information about goods and services which may be of interest to you and we or they may contact you about these by email. You have the right to ask us not to process your personal data for marketing purposes. We will usually inform you (before collecting your data) if we intend to use your data for such purposes or if we intend to disclose your information to any third party for such purposes. You can exercise your right to prevent such processing by checking certain boxes on the forms we use to collect your data. You can also exercise the right at any time by contacting us at Spiral Media Ltd, The ThinkTank, Ruston Way, Lincoln, LN6 7BT or hello[at]hostingcoupons.com.